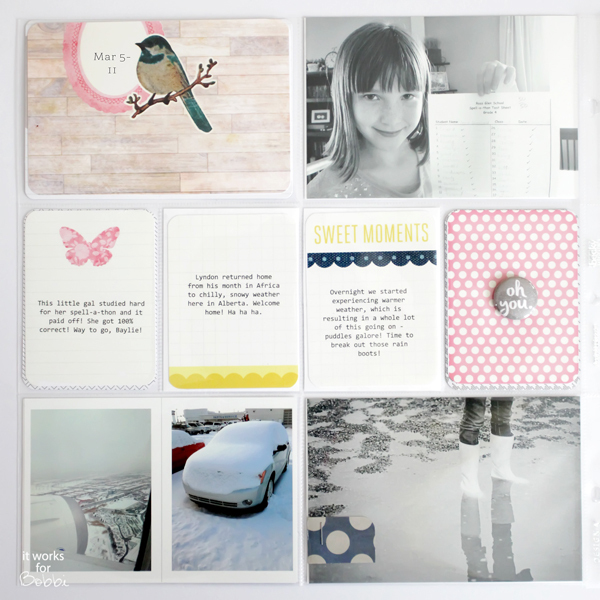 Project Life layouts – Maggie Holmes Kit – It Works For Bobbi! Published on March 28, 2014 August 9, 2016 by Bobbi-Jo G.
For this week’s spread I strayed away from my favorite “Midnight” Edition and went with the more colorful, “sweet” “Maggie Holmes Kit”. Can I just say that I’m in love with this digital kit ? 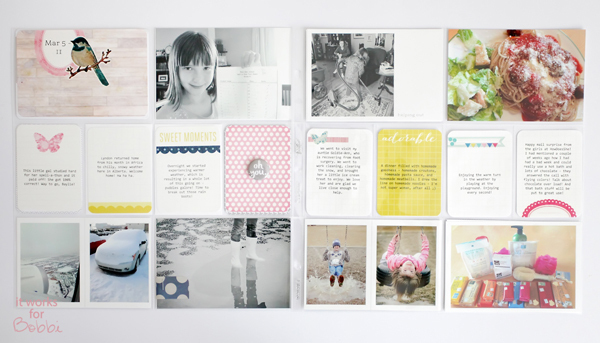 You can also buy the physical kit – I saw it at Michaels, but I went digi! I printed the cards at Staples (as this is a digital kit) and it worked out great! I love the feminine look to this set and how I didn’t have to add much to embellish, and it still looks great! 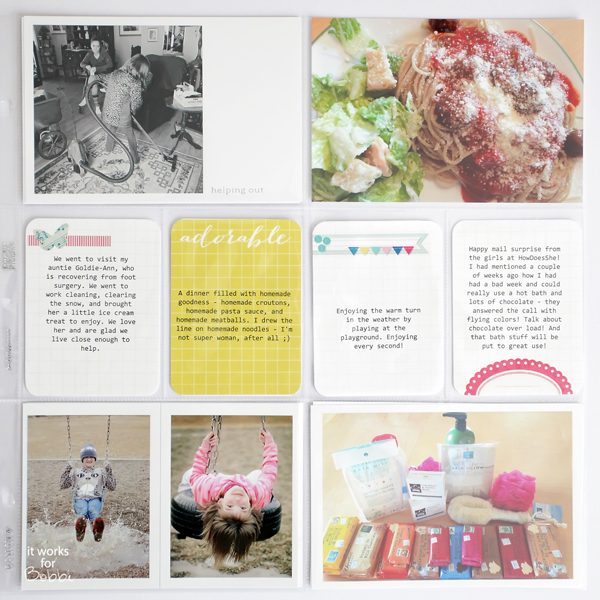 Printing just a few cards from a digital kit is a great way to add some variety to your albums on a budget. I also love how I can manipulate the cards in Photoshop, if I choose to, as well as print several of my favorite cards so I never run out! BONUS! I think I”ll be printing several of those bird title cards. LOVE it! Next Back in the Saddle! Getting My Photography On!